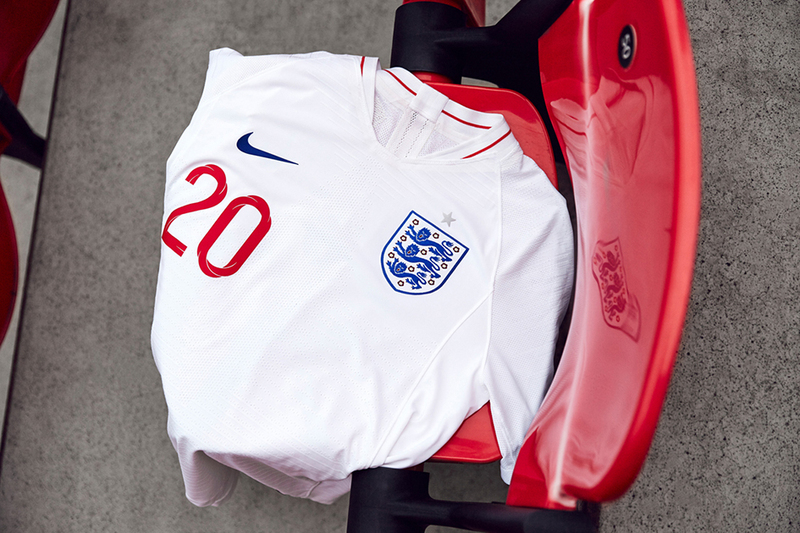 ritish-born design director Craig Ward notes on his latest typographic work for the 2018 England World Cup kit “I began by looking at the clarity and geometry of classic English typefaces”. 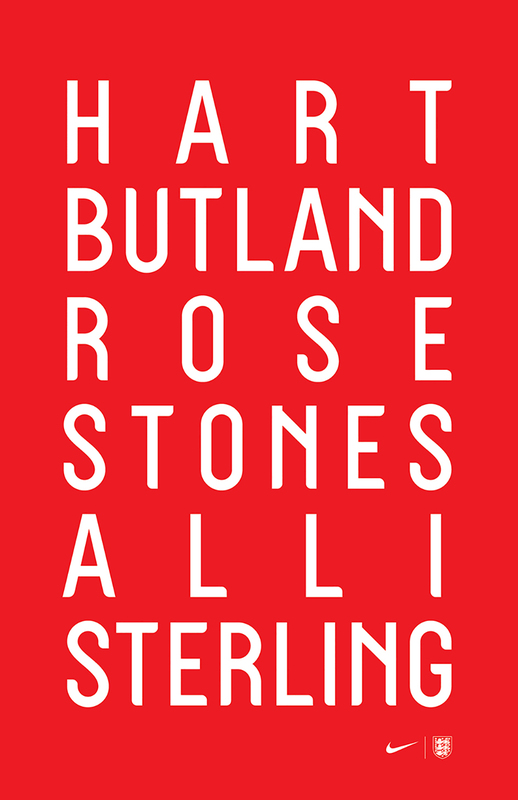 Renowned for his pioneering typographic works Ward delved into the English typograph heritage (eg. Gill, Flaxman, Johnston etc.) 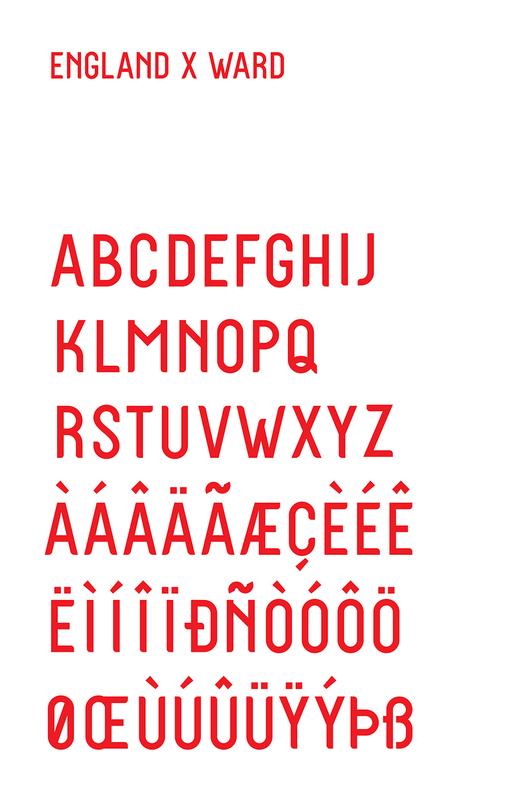 for the bespoke font. “Particularly when condensed, as that was also a requirement” he adds. “I noticed how they lost some of their implied geometry in these instances and decided to create something that didn’t buckle like that. Parts of the type actually quote aspects of other fonts to feel a little more familiar – the W in Railway Sans in particular, and the flare of the alternate R is a nod to Gill. I also included a perfectly circular O should they want to use it”. “I really wanted to create something dynamic that hinged on the cross icon, so I modeled and animated the core of the type in 3D software. I created a simple grid, drew single line paths for the letterforms and added a cross as a sweep around the path, which went on to inform the inline aspect and the twists in the letters. 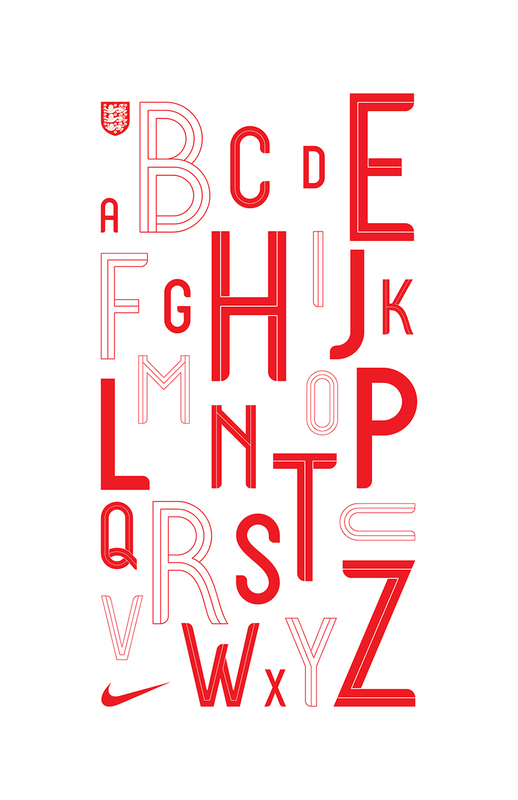 I’m hoping that the movement that went into creating the letterforms comes through in the final pieces” explains Ward. 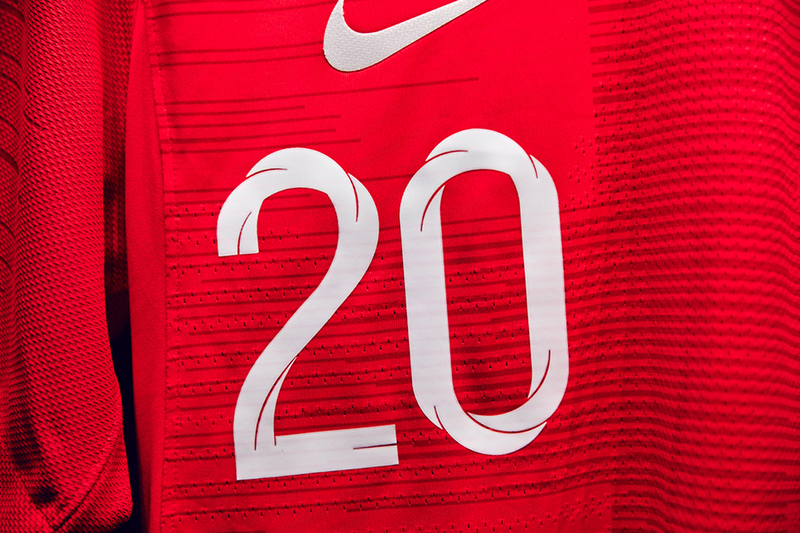 “I was honoured to create a custom typeface for the 2018 England World Cup kit. 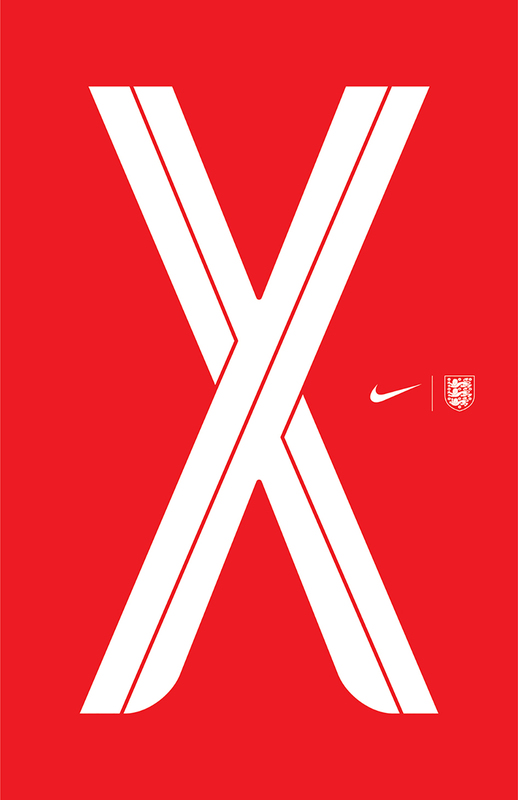 Commissioned by Nike, the type was modeled in 3D to feature the St George's cross and create a dynamic, twisting design which features inline, outline and fill weights along with complementary numerals. 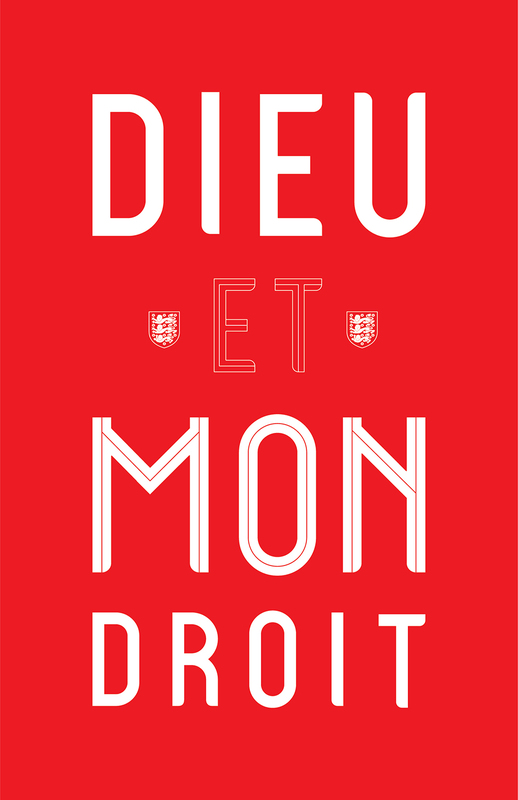 One for the life CV” writes Craig Ward who has created typefaces for the likes of include Adobe, Calvin Klein, Nike, Dior, Hennessy, Aesop, Mulberry, The New York Times, Wired, Macy's, Ketel One and many others. A former ADC Young Gun (2008); recipient of the Type Directors' Club Certificate of Typographic Excellence (2009, 2011, 2014, 2015); TEDx speaker (2012) and author of 'Popular Lies About Graphic Design' (avail. December 2012) Ward’s work has been shown, awarded and documented globally in countless books, publications and exhibitions. After graduating in 2003 Ward worked up through a handful of ad agencies in London before moving to New York in 2009 to head up the design department at Grey. From 2011 to 2016 he ran his own studio in Brooklyn before returning to agency life as SVP Head of Design at Deutsch, NY.